EU vs Mountain View: who's being evil here? 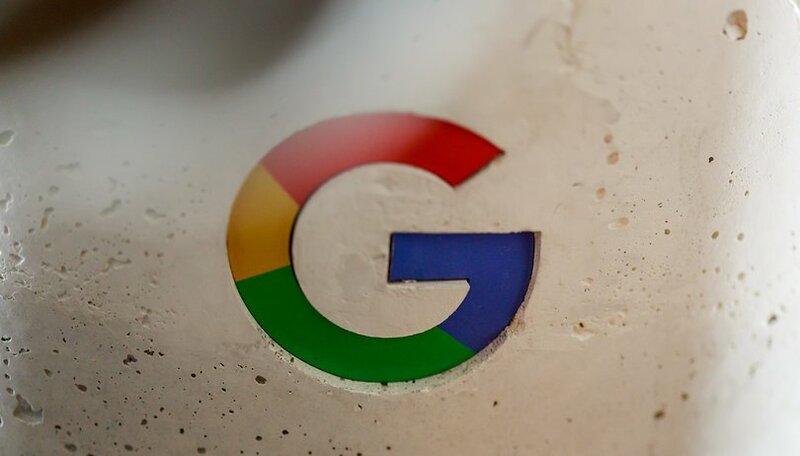 The $5 billion fine against Google by the EU Commission is causing heated discussions, including right here in the AndroidPIT editorial team. The topic is multi-layered and can be viewed from several angles, with concerns about the rights of corporations and consumers surfacing beside criticism of the role of GApps in Android. Here's what AndroidPIT editors have been saying on the matter. Luca Zaninello: "No one is making charity"
No one is forcing manufacturers to use Google apps. They have to load a full stack of Google apps just if they want to use the Play store, that's a requirement of the agreement to use Google services. There are a lot of manufacturers using Android in every form without Google apps with no problem at all. OPPO, VIVO, Xiaomi, Amazon are just some names. The Google apps are loaded just for convenience of the users and of also the manufacturer who have advantages in user satisfaction. No one in the west wants a phone without Play Store but it's a user choice. Of course Google is making money out of that but the manufacturers also have advantages. That's how the world works, no one is making charity here. Hans-Georg Kluge: "Google doesn't want to face the competition"
So Google shall pay nearly 5 billion euros. EU commissioner Margrethe Vestager gives us three arguments, why the EU has reached this decision. And Sundar Pichai, CEO of Google? Talks a lot about an open platform and on some points I’m with him. But he doesn’t really touch any of the three points that Vestager raises. Why do manufacturers have to preinstall Google Duo? Or Gmail? Or Chrome? Or Google Photos? This list could continue. Google requires manufacturers to pre-install apps that are not absolutely necessary. If Google's argument of easy installation of other apps were true, Google could face the competition with its apps. But they won't. Why do you think? Or, just as a side note: Manufacturers can’t offer devices with forks of Android. That’s a goodbye to Fire OS on smart TVs. Sure, Google has some good points, but the better ones come from the EU. Nicholas Montegriffo: "Simply a gentle warning to Google"
For all the talk of a historically high fine, let’s be real, it’s nothing that Google can’t handle. Antitrust regulations exist to prevent single corporations from reaching a critical dominance over the market, and whether you think this is a good idea or not depends a lot on your moral perspective. Google apps, Google services and Android aren’t going anywhere and will continue to be dominant, the EU’s punishment is simply a gentle warning to Google not to abuse its position and make the market too hostile for smaller competitors. Does this go against the purpose of corporations to make as much money as possible? Sure. Is that a bad thing? Nope. Bastian Siewers: "Android is hard to sell without the Play Store"
Honestly, look at Germany and the other EU countries. It would be an amazing chance for someone to sell an Android phone saying “Now without Google Apps!”. Of course Google is using its position, but at the end it feels like someone is being punished for being too successful. As Luca stated, manufactures are not forced to use GApps, even if it is obvious that that’s pretty much just theory for a lot of manufacturers. Android without the Play Store is hard to sell, but as I said, really not impossible. Steffen Herget: "Google or nothing - and that’s not good"
Let’s face it: The 4.3 billion Euro fine is not going to change a lot, although it’s a hefty sum even for Google. Yet it’s important that governments show big companies like Google that they can’t do what they want and expect everyone to be ok with it. The decision does not go against the fact that manufacturers have to install certain apps to be able to use the services Google offers, it targets the fact that Google has used its dominant position to exploit its ad business and to keep other players out of the market. Google likes to stress the fact that Android has brought so much choice to the market - while that’s true when it comes to hardware and form factors, it’s the opposite when we’re talking about software, services and ads. Here, it’s Google or nothing - and that’s not good. Now it's your turn: what do you think of the new record fine against Google? Discuss with us in the comments! So now they are trying to de-monitize Android. How about Google just not sell devices Android for devices in the EU? Who will be hurt more when Apple is the only choice and significantly higher prices? I'm not saying it is something Google would do, but let's be clear here. Making Google offer the Play Store with forked versions of Android that have not been certified by Google makes it easy for the user experience to be horrible. IF things don't work, the user is login to blame Google and the developer, not the device manufacturer. EU is off the rails on this one. Certainly reminds me of the kerfuffle about Microsoft building Internet Explorer into Windows way back when: resolved not by removing the browser as part of the OS but by informing new users on the first boot homescreen that there are other browsers and providing links to get them. The big problem is there are no general purpose search engines that compare for sheer range and quality with Google's and people aren't interested in competitors. DDGo is the loudest screamer now, while my experience of moderately historical or unusual search with it is that first page results are laughable and good results are buried. Apple's maps are apparently made by Mr. Magoo, but Open Street Maps is a very worthy alternative to Google's maps, especially with durable (non-expiring) offline downloads. I generally agree. Duck duck Go, however, has been satisfactory. I don't use it exclusively, just the majority of the time. Why isn't Apple in the same predicament? They don't even allow others to use their OS, which is far more tightly bound to their applications and user experience. It seems that the EU had it more right when they went after improving privacy protections, which Apple seems to have done better. From the US side of the pond, this sure seems like envious greed that an American company has bested them in the mobile market they once dominated (Nokia) on the EU's part than any altruistic "good of humanity" advocacy. As your editors have said, no one is forced to use the Play Store (look at Amazon's Fire devices).